Land reclamation projects were carried out intermittently in the Kikuchi River basin through the Edo and Showa periods. 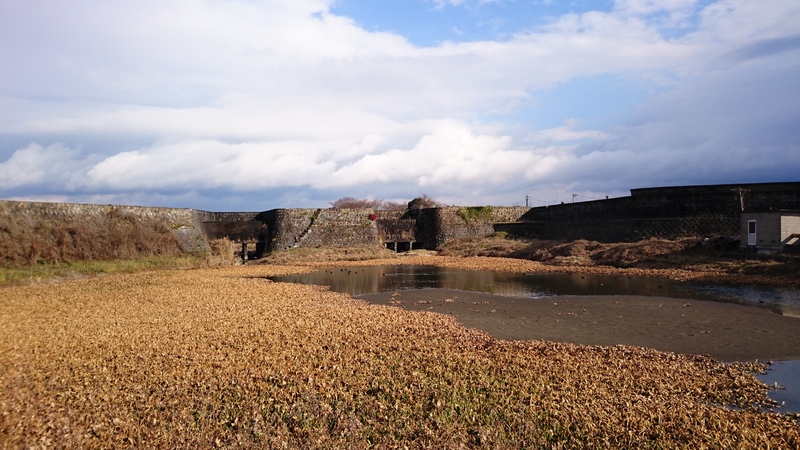 There currently remains a total of 5km of reclamation dikes that originate from the Meiji period. This is a valuable asset both historically and culturally as it is the only existing example of its scale and condition.